Steel machining services in Central PA from APX York Sheet Metal use the latest technology to result in customized pieces for each client. There is no cookie-cutter solution for each business, so our engineers work with you to deliver superior results. Other materials we work with range from spring steel to stainless steel and titanium along with iron, nickel and plain steel. If your company is searching for sheet metal machining services in Central PA, we are your one-stop-shop that can machine metal in your area. We work with a variety of materials so as not to limit your solutions, and our specialists have a range of knowledge with OEM parts, industrial enclosures, conveyor system components and many more. Our processes include laser cutting, bending, inserts, welding, grinding and painting along with others, and as a family-owned business for 71 years, we know how to deliver reliable and high-quality products. Steel machining services in Northern Maryland are available at APX York Sheet Metal. We offer quick turnaround times, great customer service and can take on projects in large quantities. However, we also do smaller and more intricate jobs and we handle all shipments and processes in-house. 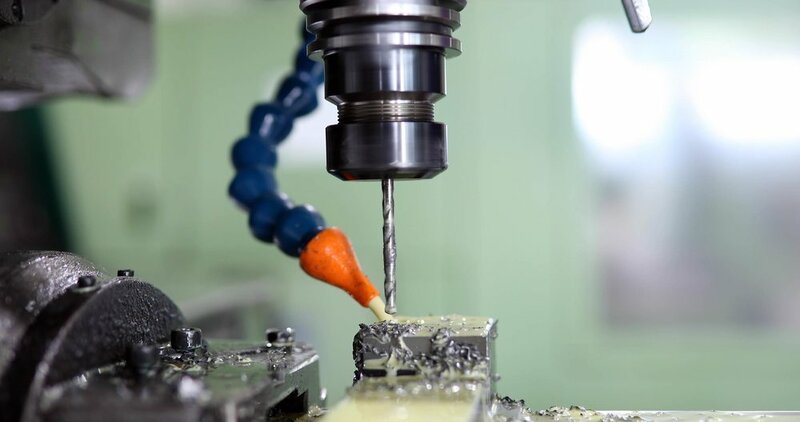 We never outsource parts of the metal machining process, so call us at 717-767-2704 for a free quote or reach out to us online to learn more about our machining solutions.